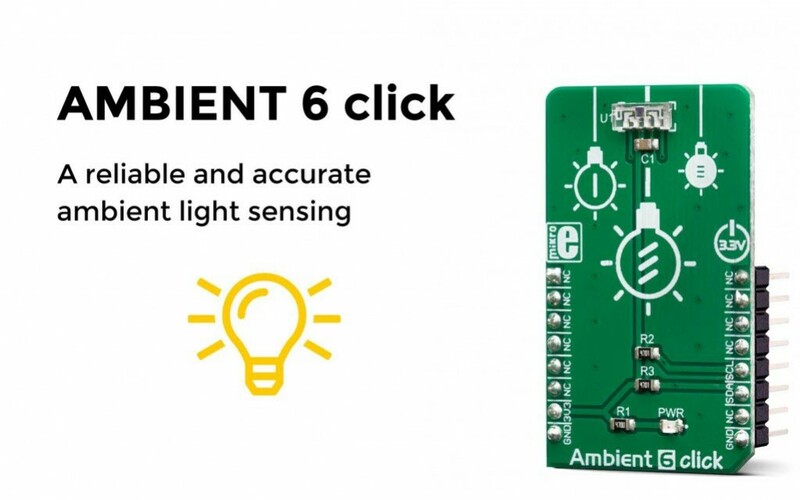 Ambient 6 click can sense the intensity of the ambient light, providing the measurement data in a digital format over the I2C interface. Packed in a small transparent casing, the VEML7700 IC used on this Click board™ is a perfect solution for the development of light sensing applications. Thanks to the O-Trim™ and Filtron™ technologies, it can sense light the way the human eye senses it, while maintaining a high accuracy under various conditions. With only 6 configuration registers, it is very easy to program this device. However, like all our Click boards™, it is supported by the mikroSDK compatible set of functions, which simplify the development even further, providing code portability across different architectures. For more information about the Ambient 6 click, please visit our website.